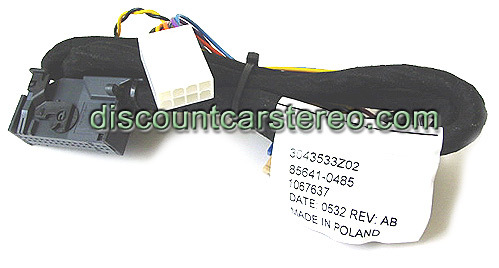 The BT-BKR23M makes it easy to connect Motorola Bluetooth car kits to Becker CDR-23/24 Radio. 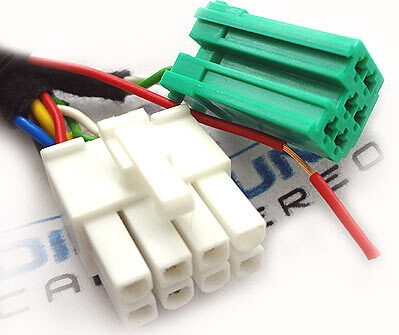 Most Bluetooth car kits include a universal installation harness that may or may not fit the radio plugs in your vehicle and as a result you will have to splice or cut multiple wires in the vehicles harness to complete the installation. 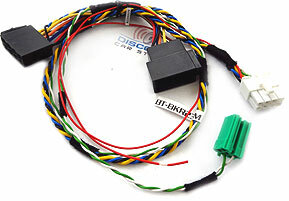 The BT-BKR23M converts the Universal installation harness (included in the Motorola kit) to fit Becker CDR-23 (BE6611, BE6612, BE6627), and CDR-24 (BE6645) in Porsche, and BE6806 for Chrysler Crossfire Radios. Once everything is installed, a Hands-Free conversation is possible with the microphone (included with Bluetooth kit) and existing speaker in your car. 3. Customer must enable Phone Audio within Menu (Click instructions below for details). * T605 Auxiliary option does not apply to the CDR23/24 Radios because they lack an Auxiliary port. 1. The BT-BKR23M supports Bluetooth Hands-free Profile (HFP). 2. The CDR23/24 does not have an aux input port which means it does not support Audio Streaming profile (A2DP).